Wedding at The Swan Bibury /As a Gloucestershire documentary wedding photographer, I get to cover all sorts of weddings. It maybe in a grand country manor or a majestic Castle. However, it doesn’t have to be a huge affair to be special. 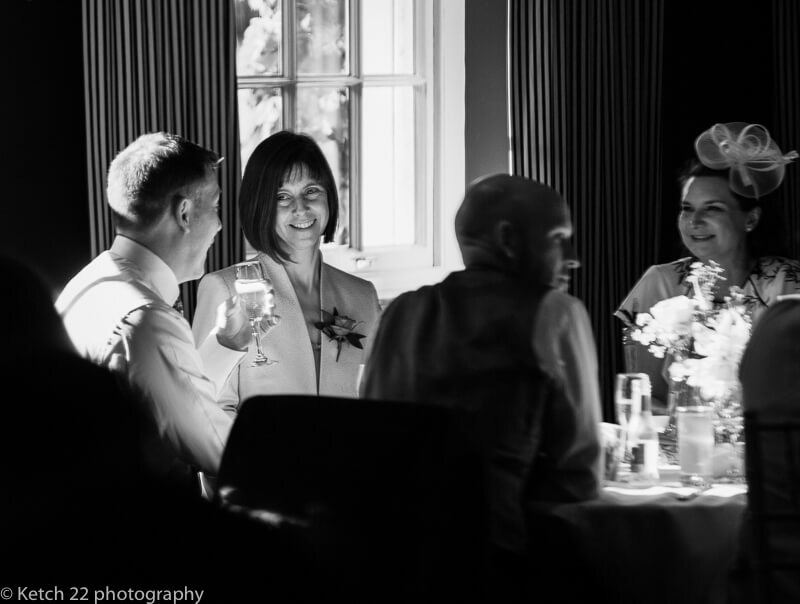 I often cover smaller more intimate weddings. 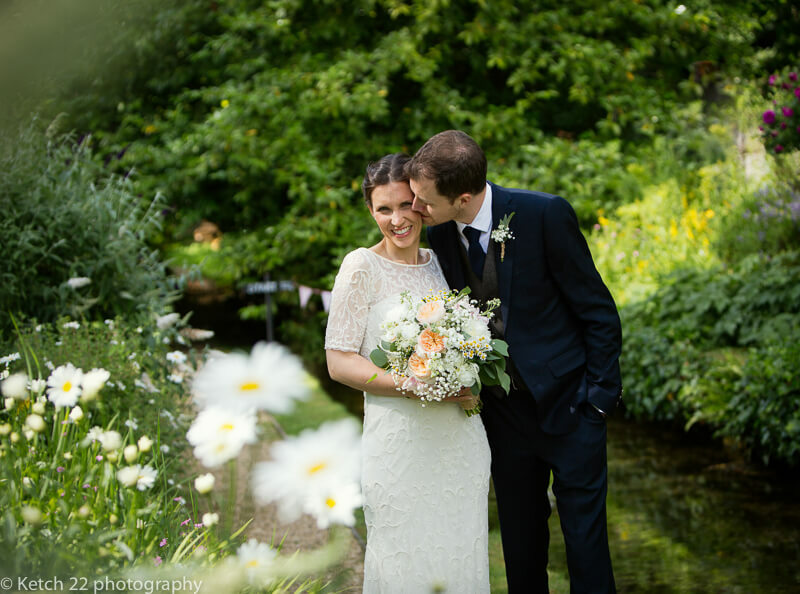 Jacqueline and Michael chose this style of wedding and having the wedding at The Swan at Bibury was the perfect location. If you have never been to Bibury in the Cotswolds, it’s the picture postcard village you’ve always dreamed about. Granted it does have it’s a fair number of tourists, but you can see why. The Swan is located by an idyllic little trout stream and a bridge over the water. 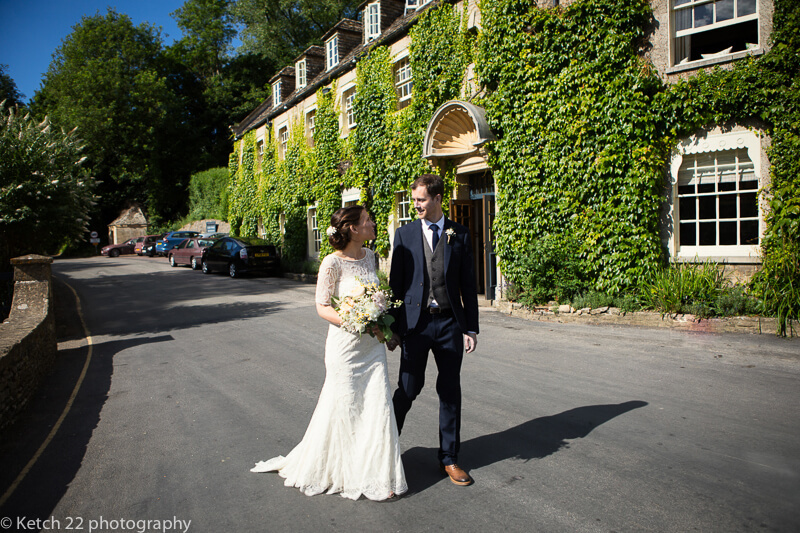 Surrounded by beautiful countryside and Cotswold cottages, it’s the perfect location for a small intimate wedding. 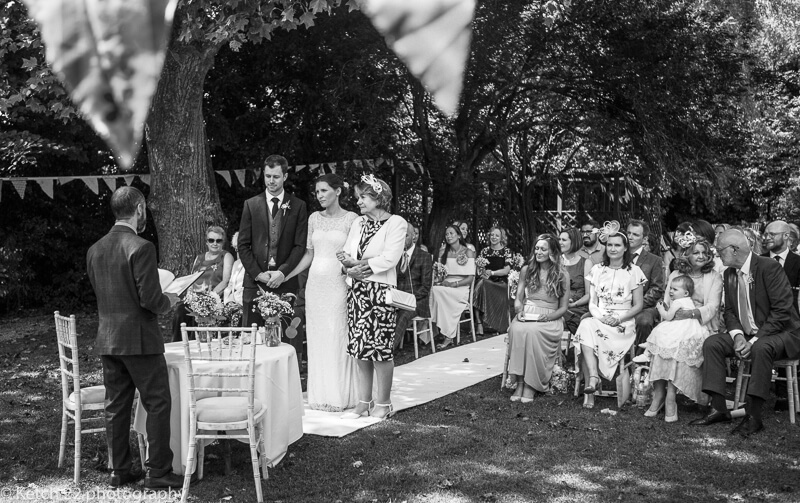 The wedding ceremony itself took place in the garden next to the stream. I’m a big fan of open air weddings, if the weather is fine. There is something magical and unique about getting married in the open air. They both wanted a small relaxed affair for their special day and so my style of natural wedding photography suited their purposes. 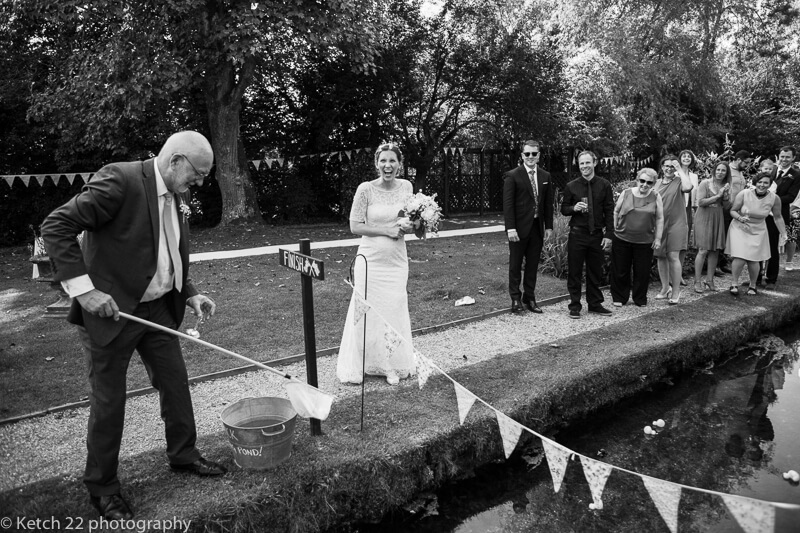 After the ceremony, the guests enjoyed partaking in a duck race on the water. It was tremendous fun and a great photo opportunity, capturing the bride and groom and guests having so much fun. Back in The Swan, the wedding breakfast was served. I’ve eaten in The Swan on several occasions and I can certainly vouch that the food is excellent and beautifully presented in a professional manner. Are looking for that special and unique photographer? It’s a lovely part of England and I look forward to covering another wedding there in the future. So if you want to get married there, then feel free to get in touch. You can find out more about myself and the way I work on my website. 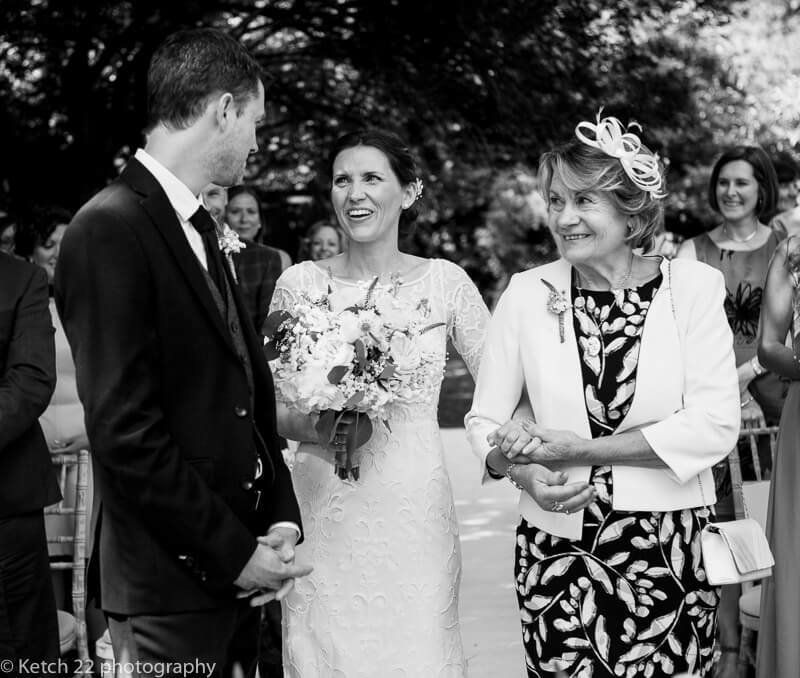 For more samples of my work just check out my wedding gallery. 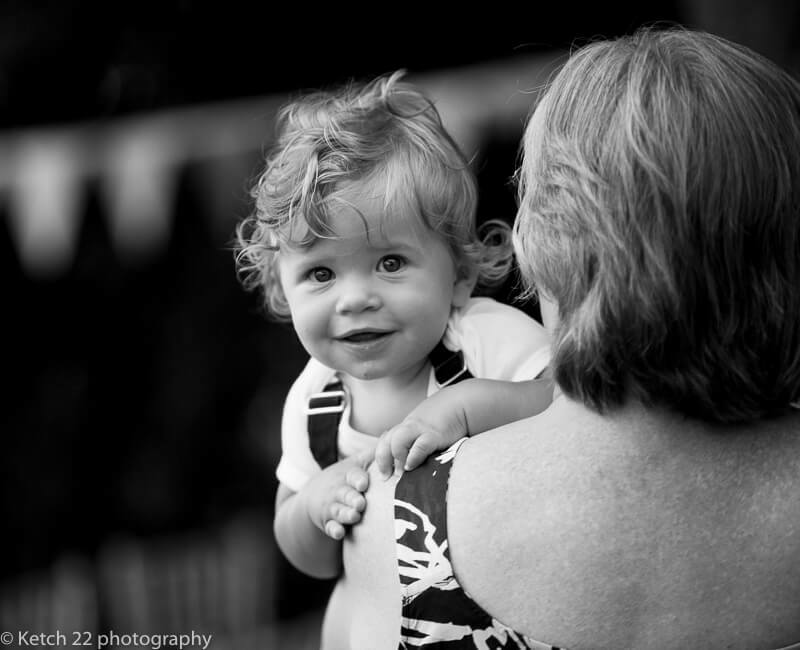 I certainly love to hear from you and be the photographer to cover your special day.